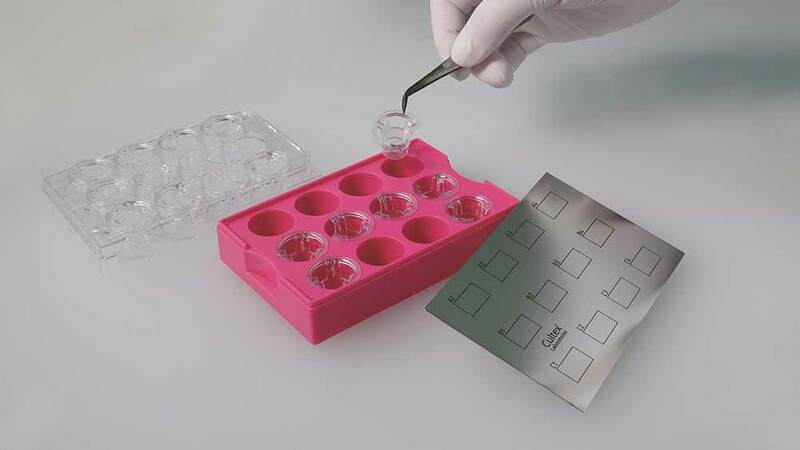 The histopathological processing of cells cultivated or exposed on Falcon® and Transwell® inserts can be facilitated by using processing plates resistant to solvents. 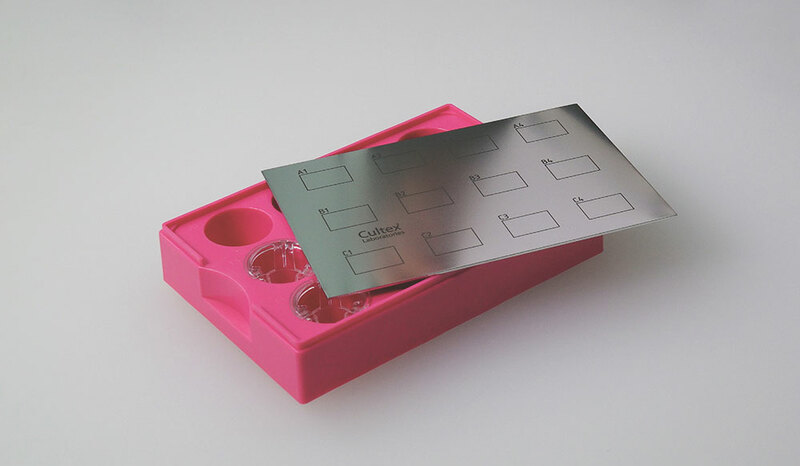 Usually these processing plates are used for fixation and dehydration of biological material, in this case cell cultures. For this purpose, we produced a solvent-resistant processing plate comparable to the companion plate for the cultivation period. 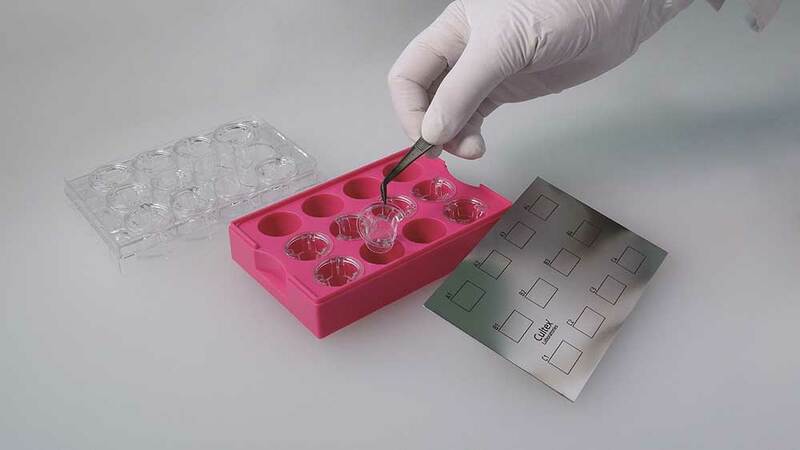 The plate houses, for example, 12 positions for inserts with a growth area of 1 cm², which can be filled with different solvents during histological preparation. The plate can be covered by a metal top plate, offering the possibility to label the different positions of the inserts.